Fitzwilliam Darcy was running late. He had a morning meeting with the board of directors of yet another company that PFH was about to acquisition. The meeting went well, nothing unexpected had occurred and their CFO was happy with the settlement figures which should have made Fitzwilliam Darcy happy. Today was Valentine’s Day and, even though he realized that it was just a Hallmark holiday and that the retail market should not dictate sentiment, it was bothering him particularly this year more than others. What was bothering our hero? What?! You can’t guess? Why, unrequited love of course! Some months ago, Fitzwilliam Darcy, known far and wide for his untouchable heart of stone, found out his heart was just a normal, everyday heart after all. He had given it away, very unwillingly, to the most spectacular woman he’d ever known, only to have it returned to him in pieces. He was a broken-hearted man who felt he should have known better. When he walked through the atrium of the PBH building, he thought he was going to be ill. There were hearts of various shades of red, white and pink hanging from the branches of the trees in the entryway. As he walked past reception, he could not help but notice the two dozen red roses in a vase that someone had sent to Lucy. It galled him that even Lucy Steele had a valentine! He passed by the security desk. He nodded to John and he noticed there was a pink card emblazoned with red hearts and cupids sitting on John’s desk. John Thorpe? Oh, this was going to be a long day indeed. Darcy knew there was no way he was going to be able to make it to his office without some fortification. The open-air layout of that floor would surely be filled with saccharine landmines everywhere! He didn’t really begrudge anyone their happiness, he just dearly wished for some of his own. Heading towards the back of the atrium, he intended to stop at the little coffee shop for an espresso but lost his desire when he spied that good-for-nothing John Willoughby actually making out behind the counter with Mary Crawford. He made a mental note to call the health department about the sanitary conditions there. Unhappy that he’d need to send his secretary out for some coffee later, he made his way towards the elevators when a bright flash of orange caught the corner of his eye. Darcy was thankful Caroline didn’t spot him and that he was able to hide behind a column until she passed by. Curious where she was headed as she had business in the building, he watched as she made her way to a bench where Frank Churchill was waiting for her with a huge red box of chocolates and a bouquet of mixed pink and white flowers. Completely disheartened that even Caroline Bingley had found someone, he stepped in the elevator and made his way up to his floor. The elevator stopped on 12 which is where the accounting department was. The door opened and a very distracted couple got in, completely unaware of Darcy’s presence. They were whispering to each other and stealing kisses until Darcy loudly cleared his throat to alert them they were not alone. Fitzwilliam choked back the bile in his throat upon recognizing Bill Collins and Anne DeBourgh. Thankfully, they got off on 16 which would hopefully leave him in peace for the rest of his ascent. The elevator stopped again on the 20th floor. Darcy braced himself for invasion once more. The door opened and he recognized the criminal attorney Maria Bertram got on with prosecutor John Rushworth. Watching these two flirt was only adding to his unease. Not that Darcy was a complete pessimist, but something told him these two would never work. The lawyers exited on 27 and Darcy began to wonder if he should just go home. He finally made it the rest of the way interruption-free. When he arrived on the 48th floor, he breathed a sigh of relief. Now he only needed to make it through the sales floor and he could safely hole up in his office for the rest of the day. When someone arrives at Pemberley Financial Holding, they are first greeted by the very capable, but very plain, Charlotte Lucas. Today, Darcy noticed that she appeared different and was about to say something when he saw the cause for her transformation. On her desk was a beautiful arrangement of pink-tinged orchids with a card that read, “Darling Charlotte, Be Mine, -Richard”. Even his own cousin had betrayed him and went over to the couple’s side! Oh well, all’s fair in love and war and Darcy knew had he been accepted by his heart’s desire, he’d have abandoned Richard too. He’d normally stop in and start his day by getting the list of forthcoming acquisitions from Charlie, but at present, Charlie was away on his honeymoon with Jane. He wished them all the best and now knew that he had been very wrong about them. It had cost him Elizabeth, but at least he’d been able to do right by his best friend and make amends there. Fitzwilliam’s heart ached at the memory of how stunning she’d been this last weekend at the wedding. As the best man, he’d at least gotten to spend a little time with her even though he realized his company had made her very uncomfortable. He was at least grateful that he’d gotten to hold her in his arms one last time as they danced together during the wedding party dance. For a moment, one brief, fleeting moment, she had looked at him with something less than disdain but it was too little to build hope on. He surveyed the office and it was just as he’d dreaded. Everything was awash in store-bought love. He looked at the faces of his staff and noted how hopeful, content and happy everyone seemed today. Everyone, that is, except him. Henry Tilney was making eyes at Cathy Moreland. Ellie Dashwood was on the phone and actually giggling. 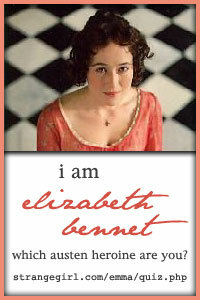 Emma Woodhouse was insensible as she’d just become engaged to George Knightley. He watched his staff with no small amount of jealousy. Darcy was grieved that he’d messed up so irreparably. Had he behaved in a more gentlemanlike manner, perhaps he and Elizabeth might be as happy as Emma and George, or Anne and Fred. Sighing deeply, he tried to fight the feeling of melancholy off as best he could. Darcy finally reached his office at last and instructed his secretary that he didn’t wish to be disturbed. Abby Reynolds tried to alert her boss that someone was waiting in his office, but he had given her that look that meant be silent. Abby smiled to herself that perhaps now things might begin to change for her boss. Darcy was a hard man to work for, but she knew that he was a kind and generous man if only someone took the time to look beneath his façade. Fitzwilliam let out the breath he didn’t know he was holding in relief as he reached the sanctity of his office. In here, no one could bother him. In here, he could pretend things were different than they were. In here, he could daydream that he hadn’t been such an oaf and told the woman he had proclaimed to love that she was beneath him. He still had no idea how he’d managed to bungle things up as badly as he had. While it was true he was no great orator, he usually did not put his foot in it either. He threw his case on the side credenza and was about to sit in his chair when he noted in was turned towards the wall. The chair spun around and seated in it was Elizabeth Bennet, wearing a stunning red dress, holding a single rose, a card and a heart-shaped box of candy. Darcy could say nothing. He was absolutely stunned. What was she doing here? Was she lost? Who were those things for? While it would be obvious to any onlooker that she had come to see him, and that the gifts were also for him, he thought she must be some sort of illusion, that his mind was playing tricks on him. When she had spoken, he knew for certain that she was real. Darcy had still not spoken and so she started, “I am so sorry for the way that I behaved. Can you ever forgive me?” she asked with unshed tears in her eyes. Fitzwilliam Darcy smiled. This was not one of the stalwart man’s usual sarcastic half-smiles or smirks. No, this was a true smile that brought forth his dimples and made his eyes bright with happiness. And our hero and heroine spent many very happy Valentine’s days together as they lived happily ever after.